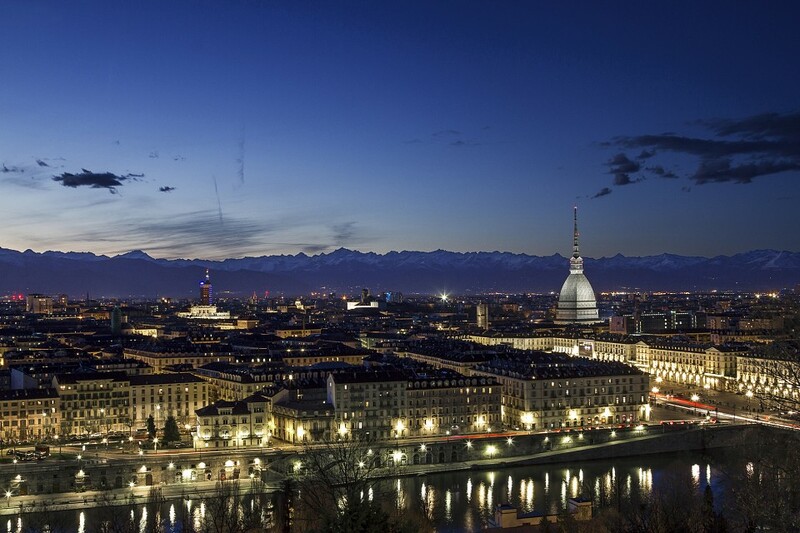 Mention Turin (Torino) and most people will think of industry and prosperity. It is certainly an economic powerhouse but it is also a town of grace and charm, with superb Baroque architecture and excellent museums, set against the dramatic scenery of the foothills of the Alps. 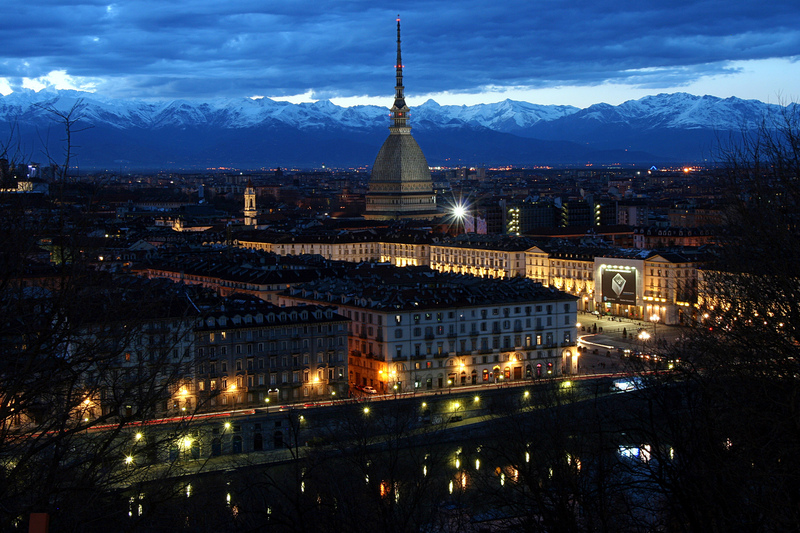 Turin is also, of course, home to the famous Shroud of Turin , the Fiat car company and the Juventus soccer team. The 2006 Winter Olympics will be held here. Though settled by the Romans (Porta Palatina is an impressive 1st-century AD relic), and the seat of a university since the Middle Ages, Turin came into its own only after 1563, when Emanuele Filiberto of Savoy moved his capital here. Three centuries of steady prosperity ensued. 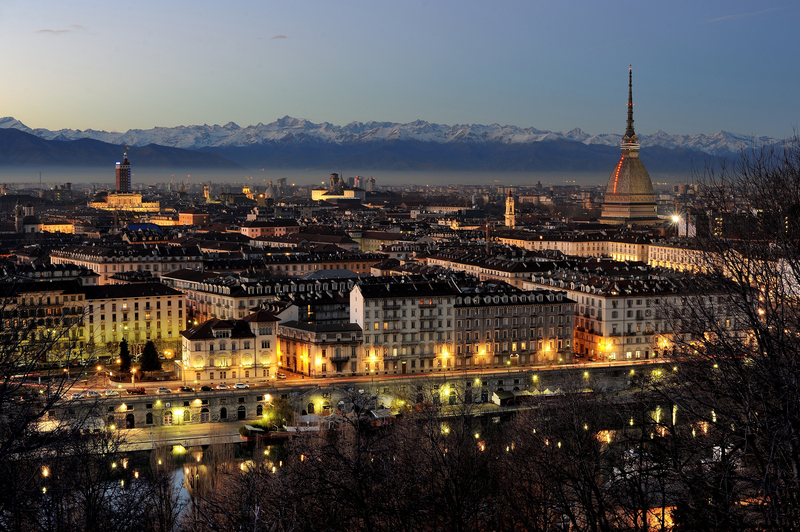 Turin then became the power base for Italy’s unification movement and, from 1861 to 1865, the capital of the newly united country. Subsequently its main power was economic. The car company, Fiat (Fabrica Italiana Automobili Torino), was established here in 1899 and grew to be one of the biggest firms in Europe. After World War II, Turin attracted thousands of poor Italians from the south who came to work in its factories. Though there have been social conflicts and labor disputes as a result, managers and workers do unite over soccer: the Juventus team is owned by the much-revered Fiat boss, Gianni Agnelli. 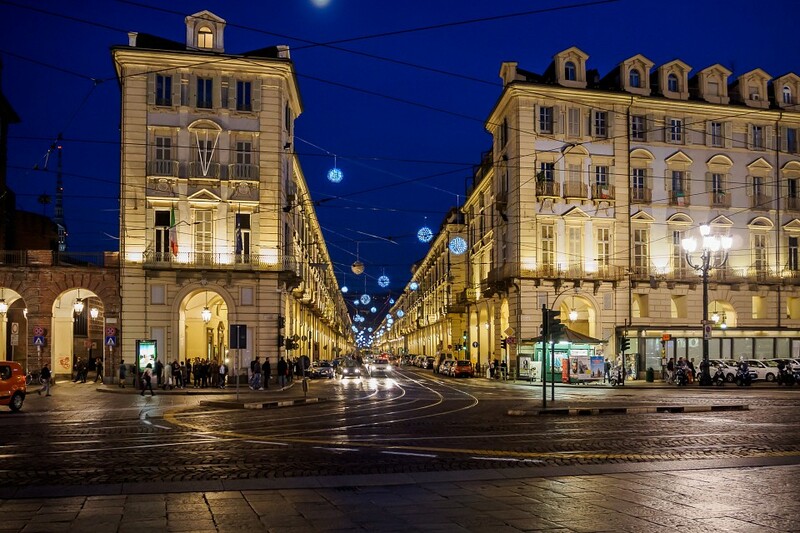 The city of Turin is blessed with numerous interesting museums, which are housed in splendid palazzi and civic buildings. The center itself is relativity small, with board, straight streets, often boarded with historic cafés and shops, which are pleasant places to stroll along. The city is also famous for its innovative cuisine and boasts some of the country’s finest restaurants. 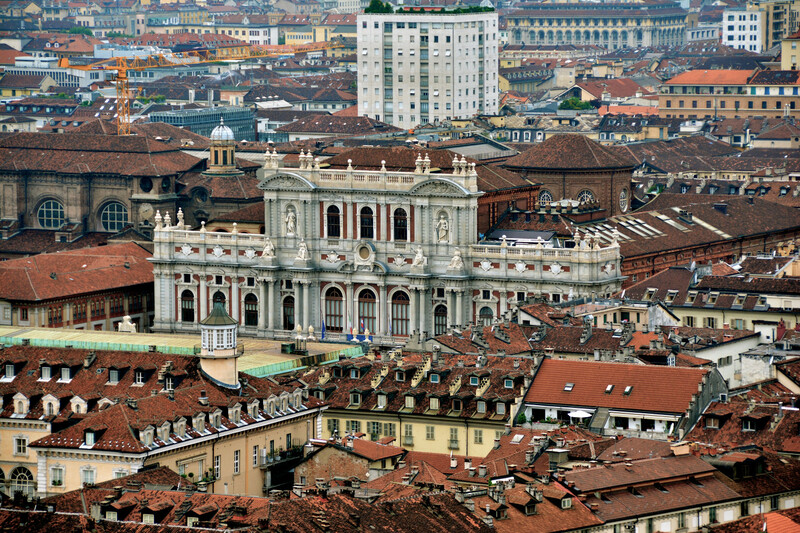 The Turin Cathedral, built in 1497-1498 and dedicated to St. John the Baptist, is the only example of Renaissance architecture in Turin. The sober, square bell tower, which predates the rest of the church by 30 years, stands in refreshing contrast to Turin’s sumptuous Baroque buildings; its top was designed by Filippo Juvarra in 1720. Inside, the duomo is heavy with statuary and paintings. Through a black marble arch on the right side of the church is the Capella della Sacra Sindone (Chapel of the Holy Shroud), which was actually incorporated into the Palazzo Reale. The chapel is a remarkable feat, designed by Guarino Guarini (1624-83), with an extraordinary mesh-like cupola; the exterior view is equally eccentric. On top of the altar is the urn containing the famous Shroud itself. 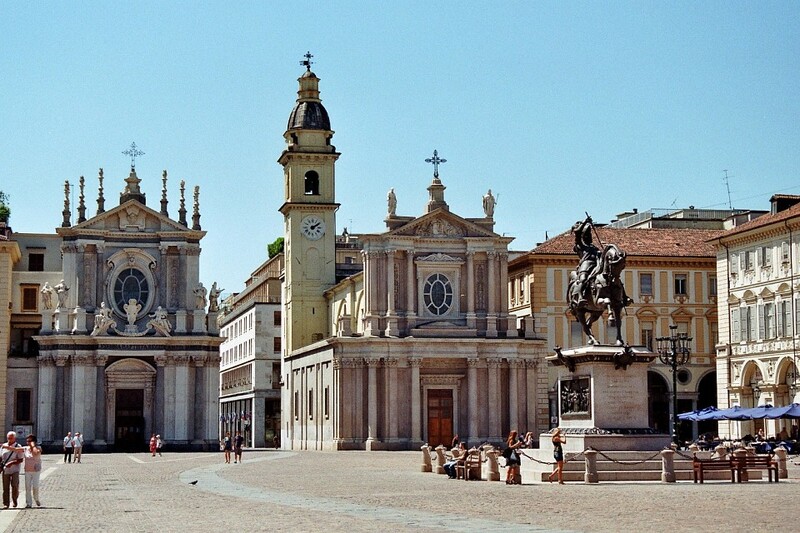 The most famous- and most dubious- holy relic of them all is kept in Turin’s Duomo. The shroud, said to be the winding-sheet in which the body of Christ was wrapped after his crucifixion, owes its fame to the fact that the shroud bears the imprint of a crucified man with a wound in his side, and bruises from what might have been a crown of thorns. The shroud is one of the most famous medieval relics. Its early history is unclear, but the House of Savoy was in possession of it around 1450, and had it displayed in Guarini’s chapel from 1694. The “original” shroud – which sits in a silver casket inside an iron box within a marble coffer inside the urn on the chapel altar- is not on a view, though a replica is, together with a welter of scientific explanations as to the shroud’s possible origins. In 1988, however, the myth of the shorud was exploded: a carbon-dating test showed that it dates back no farther than the 12th century. The shroud nevertheless remains an object of religious veneration. 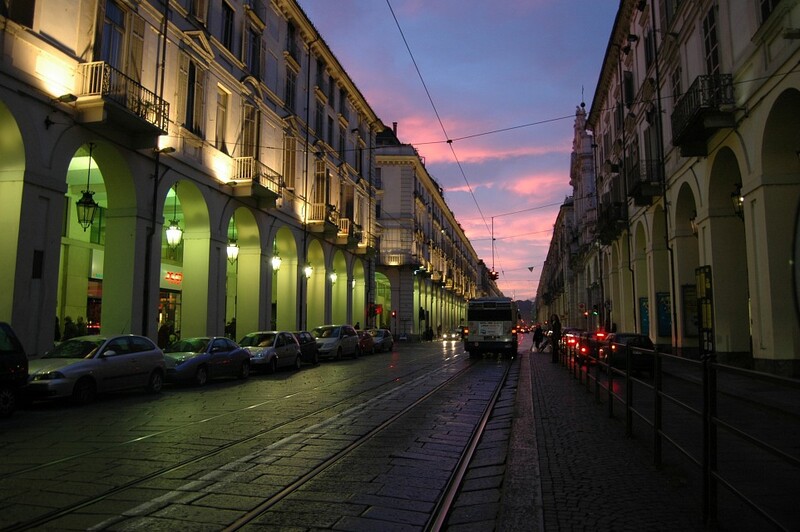 Via Roma is Turin’s main street, running through the heart of the historic center. 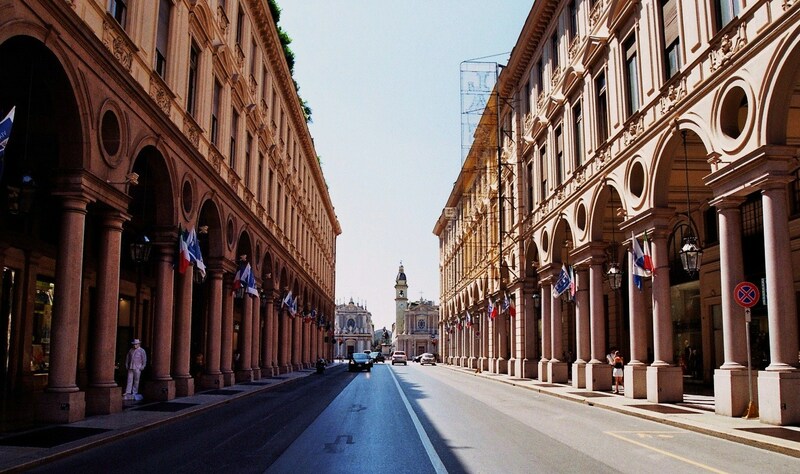 It leads from Piazza Castello at its northern end down through Piazza San Carlo to the distinctive arched façade of Stazione Porta Nuova, which forms a focal point at the southern end. The station was built in 1868 and looks out over the green and pleasant gardens of the 19th-century Piazza Carlo Felice. 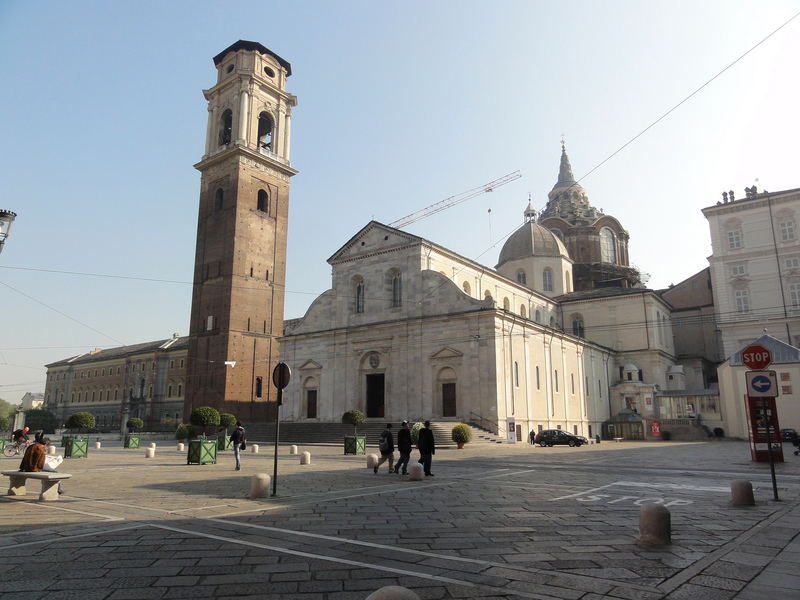 The square is framed by shops and cafés and provides an excellent vista up Via Roma from a calm vantage point. 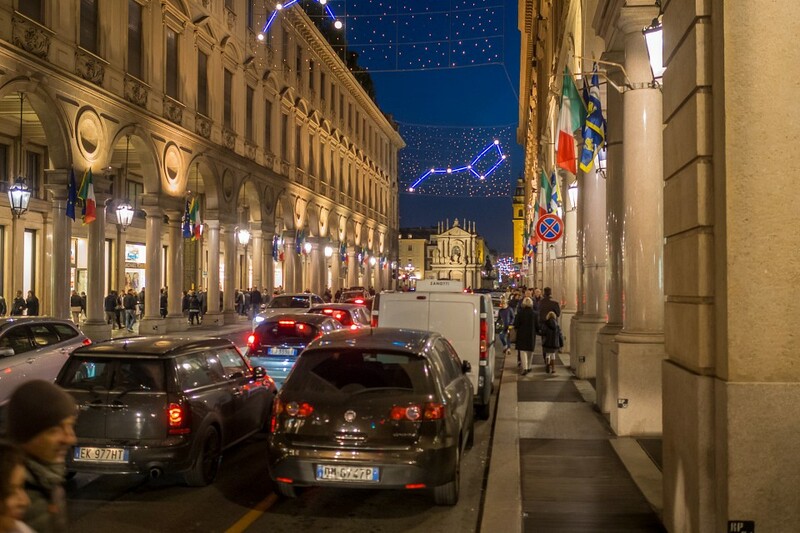 Via Roma itself is a magnificent concourse lined with stylish shops and shaded arcades, interrupted only by cobbled squares, crisscrossed by streetcar tracks. A grid pattern of side streets branches off either side of Via Roma, revealing additional shopping arcades. This square hallway along Via Roma comprises an ensemble of Baroque architecture so sophisticated as to earn it the nickname of “Turin’s drawing room”. At the southern end rise the twin churches of Santa Cristina and San Carlo; both were built in 1630s, but Santa Cristina has a Baroque façade, crowned with statues, which was designed by Juvarra in the early 18th century. At the center of the square stands a 19th-century statue of Emanuele Filiberto resheathing his sword. The work, by Carlo Marocchetti, has become an emblem of the city. At the corners of the square, frescoes depict the Holy Shroud. The Galleria San Federico, in the square’s northwestern corner, is a stylish shopping arcade. Piazza San Carlo is known for its society cafés. In one such establishment, in 1786, Antonio Benedetto Carpano invented the drink known as ‘vermouth’, which is still very popular in Turin today. 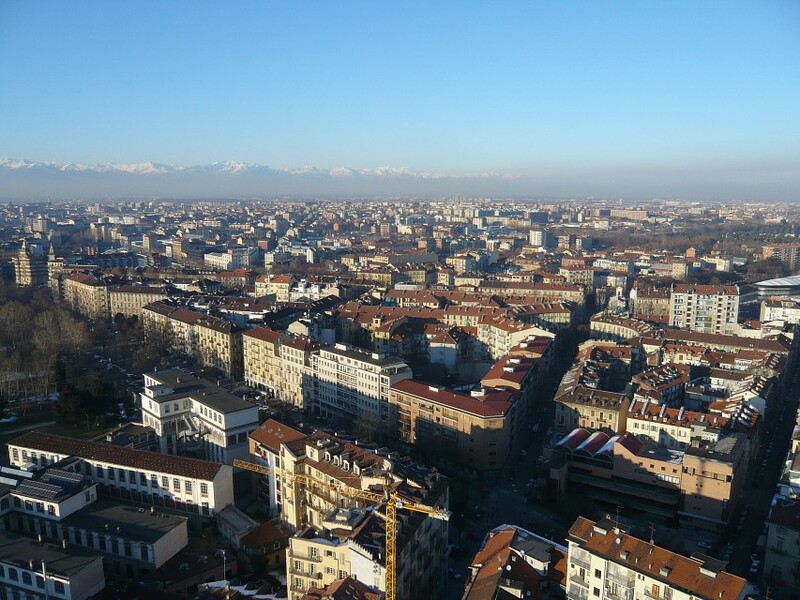 Turin’s architecture mirrors the city’s transition from monarchic power to industrial power. Witness the ostentation of the Baroque apartments of the Savoy royal family and contrast them with the futuristic Mole Antonelliana , a tall structure which heralded the dawn of the modern industrial age. 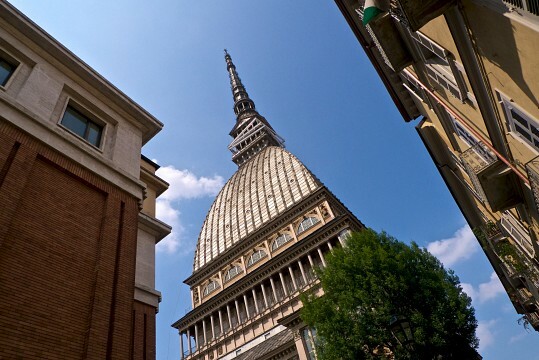 Much of Turin’s history in the 20th century has been dominated by the car: Fiat made Turin its home and, despite some industrial unrest, the city’s workers replied by rewarding it with success. For the curious, Turin’s automobile museum is worth a visit, since it maps out the history of Italian car design. 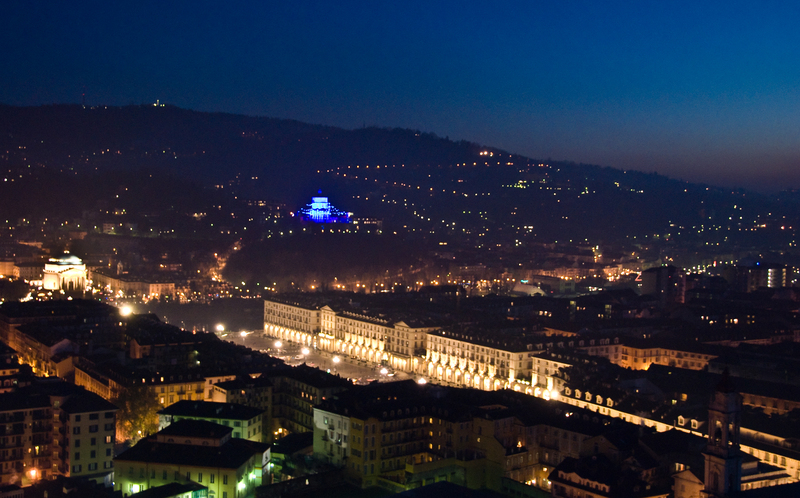 This eccentric building is the Turin equivalent of the Eiffel Tower in Paris: a tall, unique landmark that serves no clear purpose except perhaps to act as a signature for the city as a whole. It looks a bit like a glorified lightning conductor; indeed an electronic storm struck down the top 47m in 1954, which was then replaced. The 167m Mole, by Alessandro Antonelli (1799-1888), was originally planned to be a synagogue, but the city finished it in 1897 and used it to house the Risorgimento Museum. The Mole (“massive structure”) — for a time the tallest building in the world — became a symbol of Italian unity. The building houses the Cinema Museum, designed with the help of the British director, Peter Greenaway. The Palazzo Reale was the seat of the Savoy royal family from 1660 until the unification of Italy in 1861. Behind the austere façade, designed by Amedeo di Castellamonte, lie richly decorated state apartments; the ceilings were painted by Morello, Miel and Seyter in the 17th century. The many splendid furnishings, tapestries, and ornaments date from the 17th to the 19th centuries; they include the elaborate Chinese Cabinet, the Alcove Room, the lavishly decorated Throne Room, and the innovative Scala delle Forbici, or Scissor Stairs, created by Juavarra in 1720. Behind the palace are extensive gardens, which extend northward. To the left of the main entrance to the palace is San Lorenzo. This fine Baroque building, begun in 1634 is by architect Guarino Guarini, its ornate interior boasting another of his extraordinary geometric domes. Turin is full of fountains to fill your water bottle or just have a drink. You can find these public fountains all across the city, from the center to the suburbs, providing you with free public water, and thanks to the nearby Alps, the public water is very clean and fresh. This bar serves a nightly 'aperitivo' (aperitif) meaning that, with the purchase of a beverage one receives unlimited access to a food buffet, much the same way as 'tapas' are in Spain. During this aperitivo time, all drinks — from water to cocktails — cost the same price, which is about €8 ($9.20). They have one of the best pizzas in town, price is between €5 ($5.75)- €9 ($10). Tip for budget travelers: ask for the "menu asporto" and you can choose any pizza including a soft drink for only €5 ($5.75). Because Parco del Valentino is not too far, you can sit down there and enjoy your bargain. Frequented by almost only Italian diners, because it accepts only cash. The menu does not vary between lunch and dinner. Closed 2 p0 feet to 7:30 p0 feet no nonsense, but good, basic, regional food at reasonable prices below market. Via Alby 1 (across the river from the city center in the area called La Collina). Just outside the city center and up a fairly steep hill, Torino's main youth hostel is serviced by Bus #52 (get off across the river, after the obelisk). It's clean, quiet and includes breakfast, but there is an afternoon lockout. €15 ($17) for dorm-room accommodation. Via Academia Albertina, 42 (near to Porta Nuova Train Station, Center). Single rooms are €30 ($35), doubles €40 ($46). TVs and bathrooms in the room, with very friendly staff. Via Fralteve 7. The Savoy Sestriere is three-star hotel located in the city center. A comfortable position to reach the ski slopes and lifts and the swimming center. This three star hotel of Sestriere offers a large selection of bedrooms divided in single, double, triple, quadruple, and suite. All rooms include modern service, as the internet access, and the private bath. The junior suite also boast a small living room and the Jacuzzi bathtub. €65 ($75) for a single, and €90 ($104) for a double. Generally Turin can be considered a safe city. Be aware that the Porta Nuova area (train station) can be pretty dangerous in its east side, not only at night (watch out for pickpockets). This especially applies to the San Salvario neighborhoods, which lies between the station and Parco Valentino. Be very careful especially with your luggage and backpacks. Also, the areas near Porta Palazzo can be dangerous, especially in the smaller streets. Turin's international airport is located 15km north of the city center and is named after Italy's former President, Sandro Pertini. 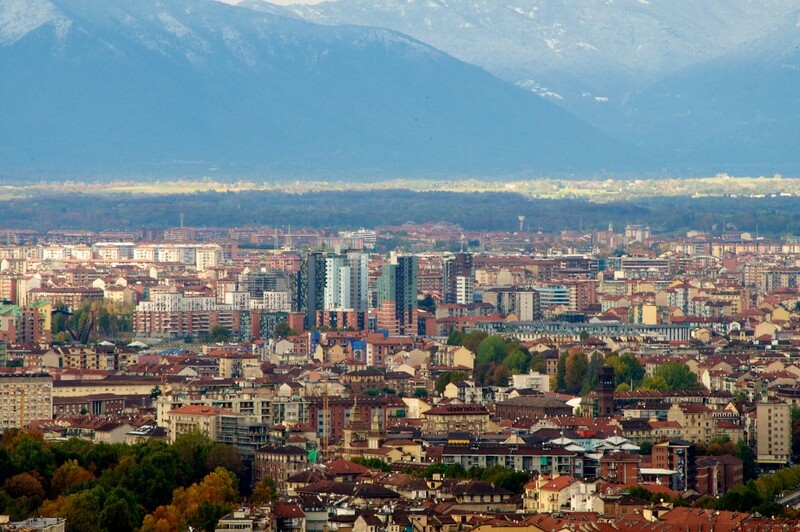 It is in the town of Caselle, connected to Turin city by a convenient motorway. The main carriers to reach Torino from abroad are Lufthansa, Air France, Turkish Airlines, and Alitalia if flying from Rome or Naples, Italy's flagship airline, which operates flight from some European and Italian cities. Caselle is also a destination for some low fares airlines, for example Ryanair and Easyjet. The airport is connected to the city by train (to the station of Porta Dora, which is useless. Arriving at the Porta Dora really is like arriving in the middle of nowhere. ), bus (with a regional bus service, which is long) and taxi (30 euro one way to city center at December 2010). 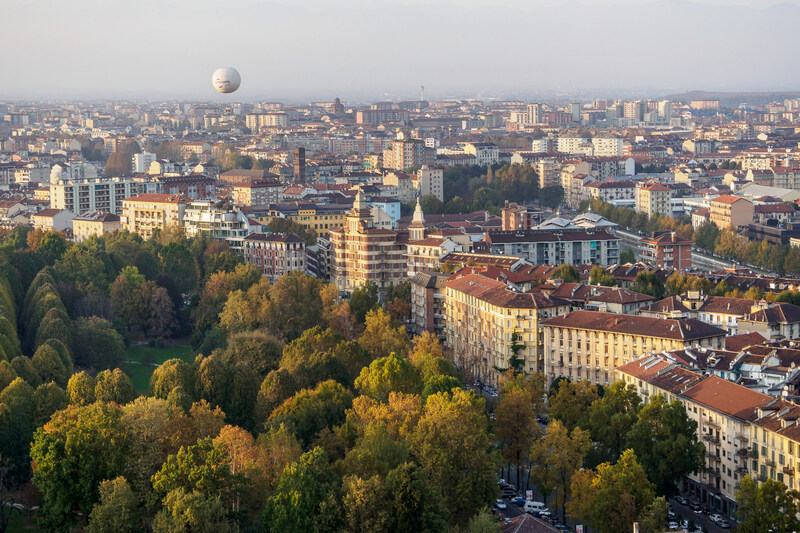 The SADEM bus service runs every 30-40 minutes from the airport to Torino's Porta Nuova train station. If you buy a ticket at a ticket kiosk inside the airport terminal, it will cost €7 ($7.48). If you buy it on the bus, it's €7 ($8.05). If you bought the Turin + Piemonte Card, the ride is only €5 ($5.75). The voyage from the airport to the center of the city takes approximately 40 minutes. Turin is also reached from Malpensa airport, which may be cheaper to fly to. There is a bus service running ten times daily between the city and the airport. The ride lasts 2 hours and costs €22 ($25) (as of February 1, 2014). 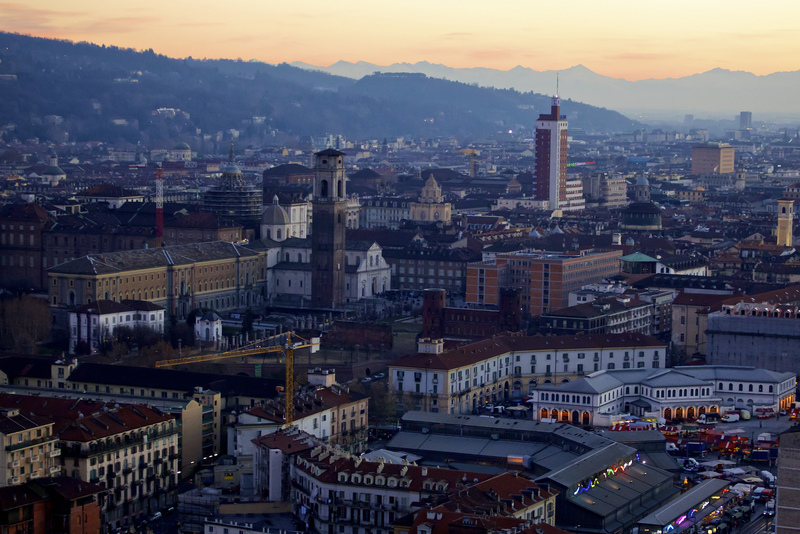 Turin has three main railway stations, Porta Nuova, Porta Susa, and Lingotto FS. Generally speaking, Porta Nuova and Porta Susa are stations dedicated to mid-range and long-range trains. The brand new stunning Porta Susa station serves trains to all northern regions of Italy (Milan, Venice, Aosta, and also Paris), while Porta Nuova serves especially trains to the south (Genoa, Florence, Rome, Bologna). You'd better check in advance where you need to go. Many trains also stops in both stations. All trains coming from/going to the south of Turin, depart from Porta Nuova via Lingotto FS. All stations are managed by Trenitalia, the Italian state railways. Porta Nuova has a luggage storage service by the platforms on the ground floor. Prices: €5 ($5.75) for the first five hours per item, then by hour, €1 ($0.81). You'll need to show a photo ID when leaving the luggage; paying upon collection. A4. From Milan and Venice (six-lane toll motorway). A5. From Ivrea and Aosta (four-lane toll motorway). A6. From Fossano, Ceva, and Savona (four-lane toll motorway). A21. From Asti, Alessandria, Genoa, and Piacenza (four-lane toll motorway). A32. From Frejus and France (four-lane toll motorway). Torino - Sunshine - Turin. Photo by Alo B.